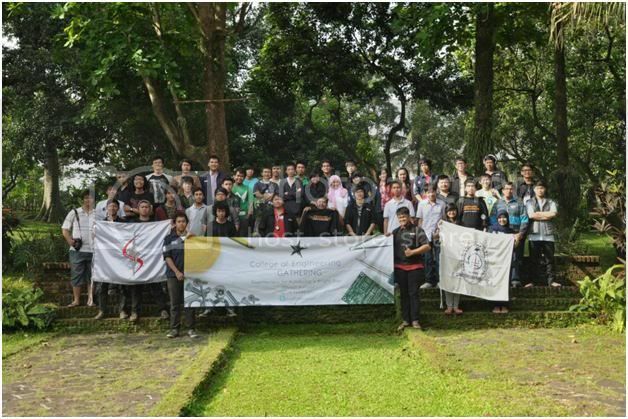 College of Engineering Gathering, which is held on March 14th – 15th, 2012 were participated by engineering students from various engineering schools (Architecture, Civil, Computer, and Industrial Engineering) under the college of engineering for an overnight stay in Dusun Kunjani, Tangerang. The gathering was held with aim to establish a solid friendship between students within college of engineering. In the last day of the gathering, social activities were carried out through playing education games, singing, and having lunch together with the community of Tuna Ganda Grahita Orphanage.